Farmscaping — a recently coined term that applies to an integrated, whole-farm approach to biological control of pests — involves laying out the farm to include hedgerows, insectary plantings, cover crops, water, and other features to attract and sustain beneficial organisms. Beneficials, including myriad insects, bats, birds, arthropods, and microorganisms, can be powerful allies in a sustainable farm system. They can reduce pests to tolerable levels without the use of pesticides, which in turn improves farm worker health and the safety of farm products, along with the sustainability of an operation. 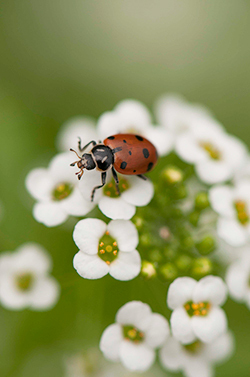 Set aside areas in your farmscape for plantings that attract syrphids, parasitic wasps, lady beetles, tachnids, and other beneficial insects to help protect vegetable and fruit crops. Biological control requires more knowledge and management than conventional pest control. To be most effective, the grower must learn the life cycles of pests, the types of beneficials that control those pests, and the kinds of plantings that harbor the desired beneficials. There is also the risk of harboring pest insects if farmscaping efforts are inconsistent or poorly planned. Removing overwintering habitat or other sources of pests. 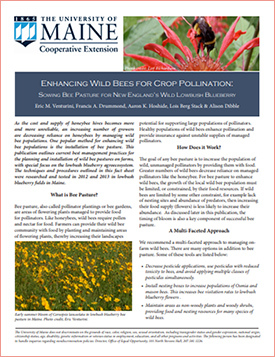 Establishing insectary plantings, which can be individual clump or container plantings, perennial hedgerows, and/or annual strips in the field. Releasing purchased beneficial insects when needed. Planting trap crops to lure pests away from cash crops. Scheduling crops to avoid high pest populations. Building nest boxes for birds and bats. 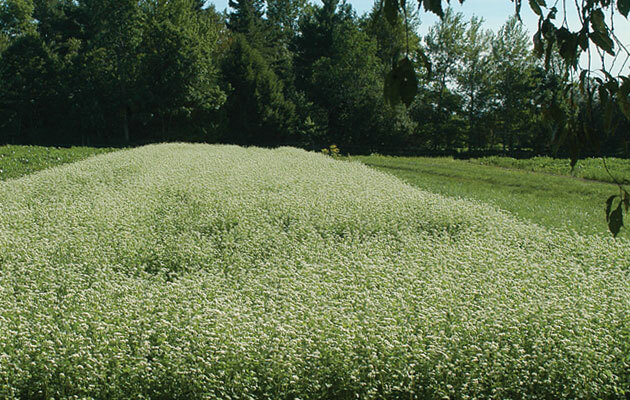 To learn more about the diverse functions of farmscaping and planting strategy, see the eXtension article titled Farmscaping: Making Use of Nature's Pest Management Services, by Geoff Zehnder, eOrganic author from Clemson University. Several federal conservation programs may be able to provide cost sharing for farmscaping programs. To learn more about planning and funding farmscaping, see the ATTRA publication, Farmscaping to Enhance Biological Control.